At least until we can chemically engineer better biodegradables. We are living in the Age of Plastic. In 2015, the world's industries created 448 million tons of it -- twice as much as it did in 1998 -- and the rate of production is only accelerating. However, our recycling efforts have not matched pace. In fact, according to the EPA, barely 14 percent of plastic products are recycled globally. But a new generation of recycling technology is here to keep the world's plastics in circulation and out of our landfills. The World Bank estimates that we generate 1.3 billion tons of solid municipal waste annually, with that figure expected to eclipse the 2-billion-ton mark by the middle of the next decade. Out of the 9.1 billion tons of plastic produced since the industry's boom began (around 1950), 7 billion tons of it is out of use -- according to a study out of the University of California at Santa Barbara published in the journal Science Advances on Wednesday. Barely 9 percent of it has ever been recycled, 12 percent of it was incinerated and the rest -- some 5.5 billion tons of plastic -- now resides in our waterways and landfills. 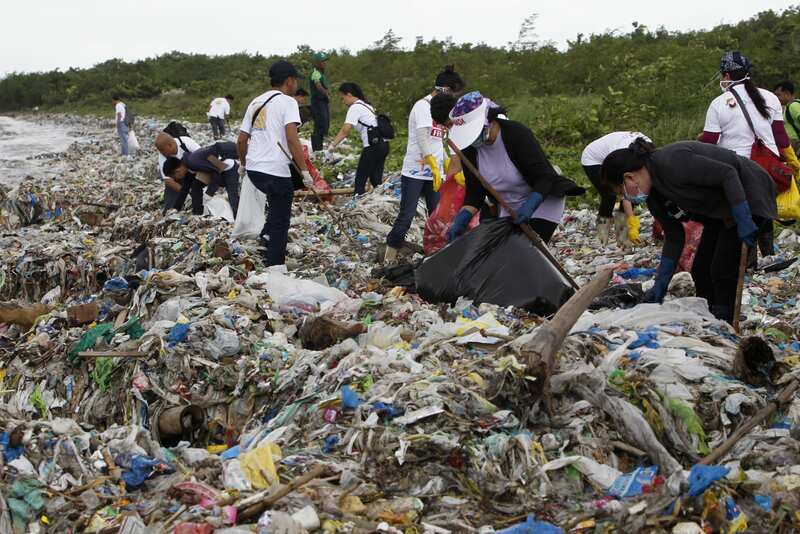 "At the current rate, we are really heading toward a plastic planet," the study's lead author, UCSB industrial ecologist Roland Geyer, told the AP. "It is something we need to pay attention to." Luckily, it's something that a number of researchers are already paying attention to. Take AMP Robotics, for example. Working in collaboration with the Carton Council and Denver-based municipal waste facility Alpine Waste & Recycling, AMP has taken a two-decade old mechanical trash-sorting system and given it something not even the Great and Powerful Oz could: robotic eyes and an AI brain. Say hello to Clarke. Clarke has been installed in the Alpine facility for about a year. It uses a visible-light camera to spot milk, juice and food cartons amid a conveyor belt of recyclable waste, plucking them from the line using a robotic arm and twin suction cups. Clarke can pick a steady rate of 60 items per minute, 20 more than the average human worker does, with 90 percent accuracy. That leads to a 50 percent reduction in sorting costs, according to the company. "The fundamental platform that we've created was a system to sort pretty much all the commodities that are in a recycling facility today," AMP Robotics founder, Mantanya Horowitz told Engadget, "whether it's cardboard, No. 1 plastics, No. 2 plastics, or cartons -- cartons just ended up being a great place for us to start." Because this program took shape with the help of the Carton Council, Clarke is on the hunt for -- you guessed it -- cartons of various varieties. But the genius of this system is that it learns as it works. "Even though this first system is picking cartons, it's actually watching and learning from all the other commodities that it's seeing as well," Horowitz continued. "That's what's really exciting. The more systems that we have out there, the better they're going to be." Moving forward, Horowitz hopes to continue refining the system's machine-vision capabilities. "Right now we can say, 'That's a No. 1 plastic' but we want to be able to say 'That's a Pepsi bottle, that's a Gatorade bottle' and give recycling facilities even finer resolution on what's going through [their lines]," Horowitz said. That's not an easy feat, given the wide array of forms that modern packaging takes. There are thousands of types of cartons alone, Horowitz pointed out. And while humans are adept at spotting them amid a waste stream, that skill remains a major hurdle for machine learning systems to identify. Still, Clarke represents the wave of the future. "Automation is a clear trend and goal in the industry," Belén Garnica, co-founder and CEO of Sadako, maker of the Wall-B robotic refuse sorter, said. "Of course, some task will always need a human in the loop, but we expect many of the hard and hazardous tasks to be done by machines in the future." "These kinds of systems will help the industry in fundamental ways. The sorting of material is just one aspect of it. We see a lot of value in the data collection you also get." Because these systems can identify what's moving across the lines, they can provide the same type of actionable information that manufacturing and energy companies already employ. 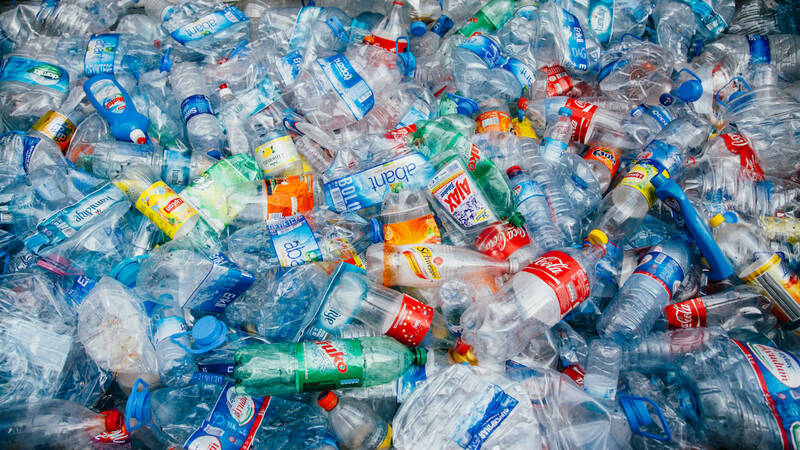 But simply segregating plastics from the rest of our recyclables isn't enough because not all plastics are created equal. The plastics used in food packaging are a breeze to recycle: You just melt them down and re-form them. But some blends of plastics -- specifically polycarbonates, which are found in everything from baby bottles to CDs to eyeglass lenses -- are generally not recycled, and therefore wind up in landfills. Even worse, as these plastics slowly rot, they leach toxic chemicals like Bisophenol A (aka BPA) into the soil and groundwater supply. 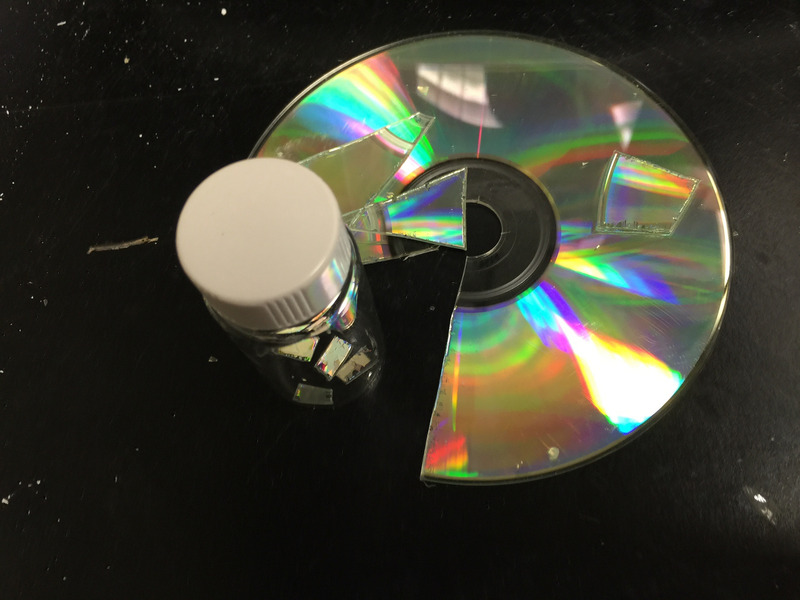 However a recent discovery by Gavin Jones, who works as a computational chemist for IBM, and researchers at the company's Almaden Research Center in San Jose have developed a means of tweaking polycarbonate chemistry to not only make the resulting product (called polyaryl ether sulfone, or PSU) harder but also prevent it from leaking BPA as it degrades. They simply heated it with a bit of carbonate salts and a fluoride reactant. "We didn't really think that if we had everything in one pot it would just work," Jones told Engadget. The research team chose BPA specifically because of its structural similarity to PSU, which is already commercially available. And as for BPA's "unrecyclable" stigma, Jones isn't so sure. "We don't think it's very difficult to break down. We think the issue is that people don't see a lot of value to doing that," he explained. The issue is an economic one, rather than technical, Jones continued, "that's actually a real issue for pretty much the whole field of recycling." So rather than continue on the industry's current course of mechanically recycling plastics -- literally shredding them down into tiny chunks and forming them into pellets, which are then melted together into new plastic items -- "What we do can be called chemical recycling," Jones said. "Meaning that when we when we break these things down, we convert into the smallest molecular units and then build them up. "If you chemically recycle things, then you can actually get value out of it," he argued. "I think, in terms of economics, that's a better value proposition than mechanical recycling." Jones' work has also led to a breakthrough in biodegradable plastics. This class of plastic comes from renewable resources but has long trailed its petroleum-based counterparts in both price and performance. What's more, their manufacture requires a metal-based catalyst which is difficult to remove from the final product and does not break down. Until now, that is. Working with Stanford University, Jones' team at the Almaden Lab concocted an Earth-friendly alternative from common organic compounds: thiourea and a metal alkoxide. The result was a catalyst that is both fast-acting and selective (in that it doesn't affect the properties of the resulting polymer). Jones' team is looking to build off this advancement and is exploring structurally-similar catalysts that might perform the same function on other classes of plastic. However, it remains unclear if biodegradable plastics will ever unseat their petroleum-based cousins. "Biodegradable plastics are an attractive option for recycling because once they get to the landfill, they just break down naturally over some period of time," Jones said. However, as with chemical recycling, there isn't a lot of economic impetus for manufacturing products that will break down after their initial use. "If an industry was created to actually recycle these plastics, and then created a valuable type of industry, meaning that you're actually the deriving value from those plastics, then that might be more attractive," Jones concluded. Regardless of the current business climate, the fact remains that the world's rate of plastic production is far outpacing the rate at which it is recycled or incinerated. This is an untenable situation, both economically and environmentally. As our lands and waters become increasingly polluted with plastic particulate, products that simply fade away or can be deconstructed to their base molecules may be our best solution. But until researchers can come up with a suitable solution, keep contributing to your local recycling bin.